The latest marshrutka-project-summer-school was held in Tblisi and Stepantsminda, Georgia between 25th and 30th of June. 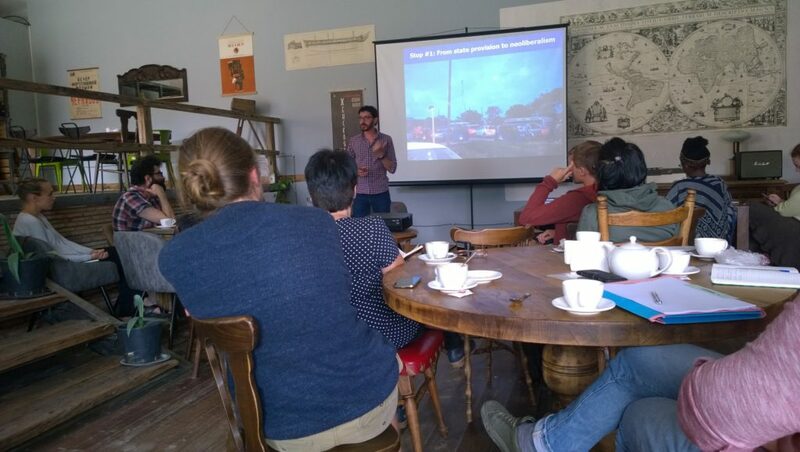 The school invited about 30 young and advanced researchers to discuss two thematic packages:  Mobilities and multiple transformations in Eurasian cities and  Informal transport and ride-sharing the global North and South. 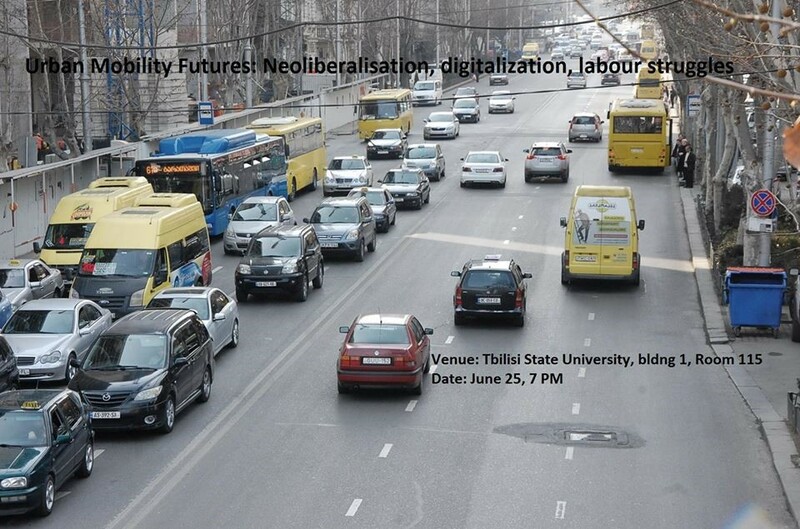 The school opening public event – the roundtable discussion on ‘Urban mobility futures: Neoliberalisation, digitalisation and labour struggles’ – was held at Tbilisi State University on June 25th. The Roundtable discussion brought together researchers, practitioners and civil society actors. After ten minutes long interventions by panel members – Matteo Rizzo, (Senior Lecturer, University of London), Wojciech Kębłowski, (Post-doctoral researcher, Vrije Universiteit Brussel; Université libre de Bruxelles), Elene Khundadze, (Head of Transport Policy and Planning Division at Tbilisi Municipal Transport Department, Tbilisi City Hall(, Tamar Qeburia, (Human Rights and Monitoring Center – EMC), and Mikheil Svanidze, (PhD candidate, Tbilisi State University) – the audience joined the discussion, debating solutions to urban mobility challenges. 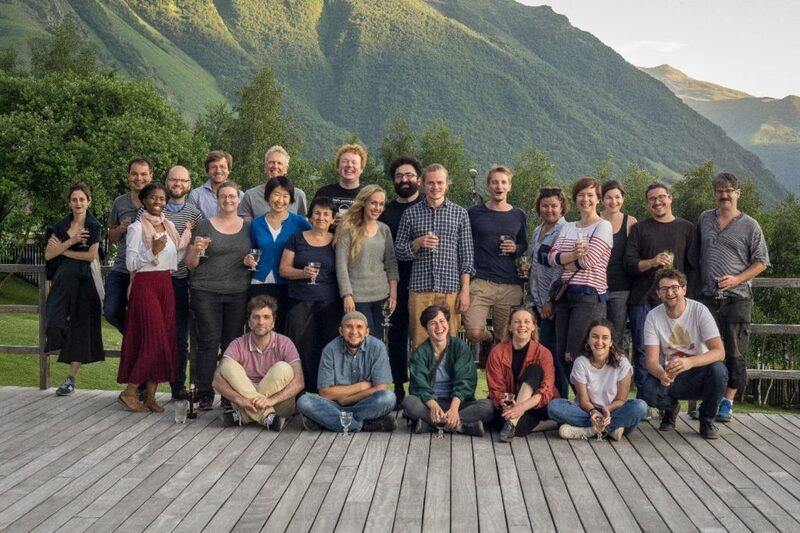 From June 26 to June 30th the summer school participants stayed in the mountainous town Stepantsminda, enjoying the calm, productive and picturesque atmosphere. 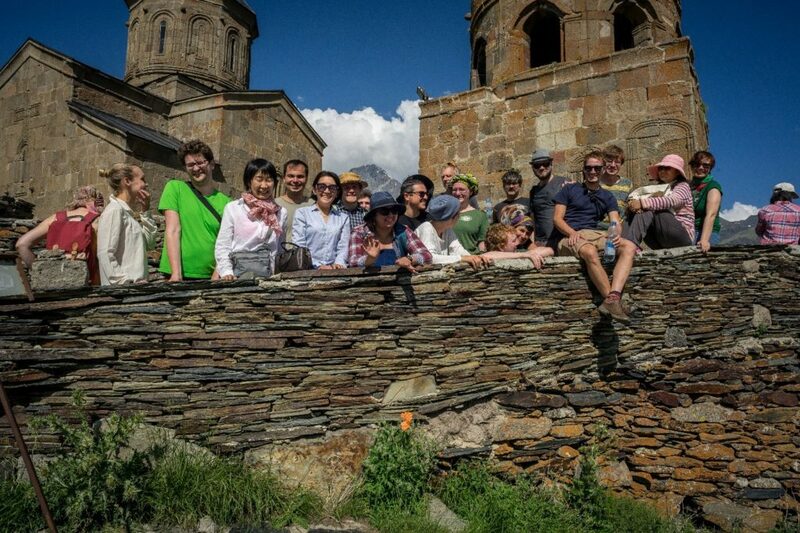 Besides paper presentations and ample time to discuss presented articles, the school offered Keynote talks, podcast workshop and a half-day excursion to the “Gergeti Trinity Church”. Proceedings of the summer school will be published in the form of two special issues, bringing together research papers by the PhD/post-doctoral researchers of the Marshrutka project and invited early career scholars. We want to warmly thank all the participants of the summer school for their contributions and engagement. We want to thank our four-keynote-speakers, Tauri Tuvikene, Claudio Sopranzetti, Matteo Rizzo and Wojciech Keblowski and the podcast workshop-leaders Dumi Holdis and Ian Cook. We want to say particular thanks to Mikheil Svanidze and Joseph Salukvadze for helping with the organisation of this event.